Part gig, part stand up, part lecture, Baba Brinkman, the man who brought you The Rap Canterbury Tales, tackles Darwin’s theory of evolution. Instantly accessible, destroying creationism through the music of The Notorious BIG, Dead Prez, Mobb Deep and his own flows, it’s an entertaining and scientifically accurate display of lyrical dexterity. Perfect for the inner science geek. Gilded Balloon Teviot, 622 6552, until 31 Aug, 2.45pm, £8–£9 (£7–£8). 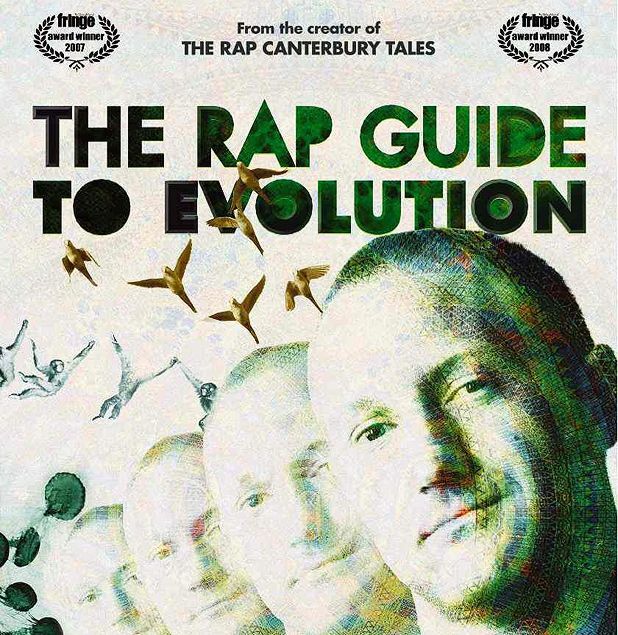 'The Rap Guide to Evolution' by Baba Brinkman explores the history and current understanding of Darwin's theory through the medium of hip-hop storytelling. The creator of 'The Rap Canterbury Tales' - ***** (Scotsman) - tackles Darwin. Scientifically accurate and seriously funny.